I have been getting a lot of messages from people saying that they want to come to IMS-Milan, but are worried life here is expensive. Let us be clear: it is not expensive. 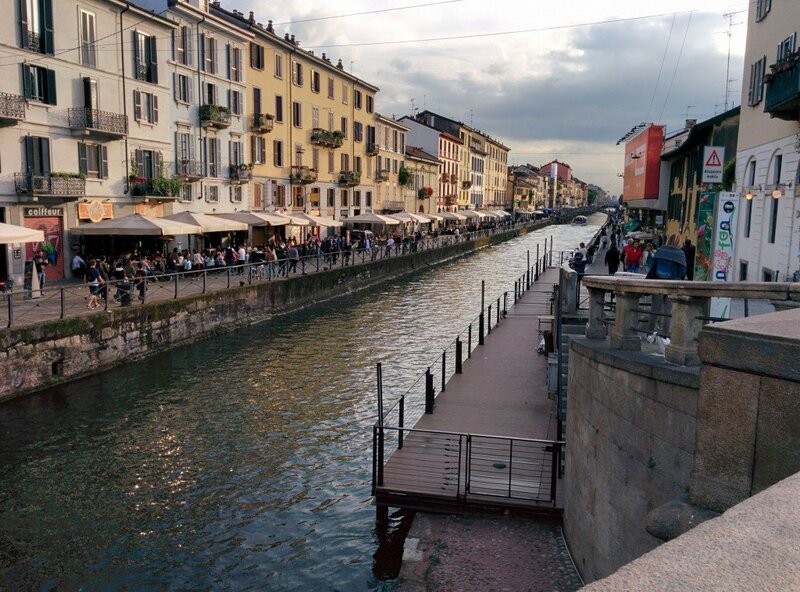 You can live cheaply — and extremely well — in Milan, a world-class city. I am not quite sure how, in the IMAT community, IMS Milan came to be viewed as an expensive English med school in Italy, but the purpose of this post is to put that rumor to rest and dead as a doornail. 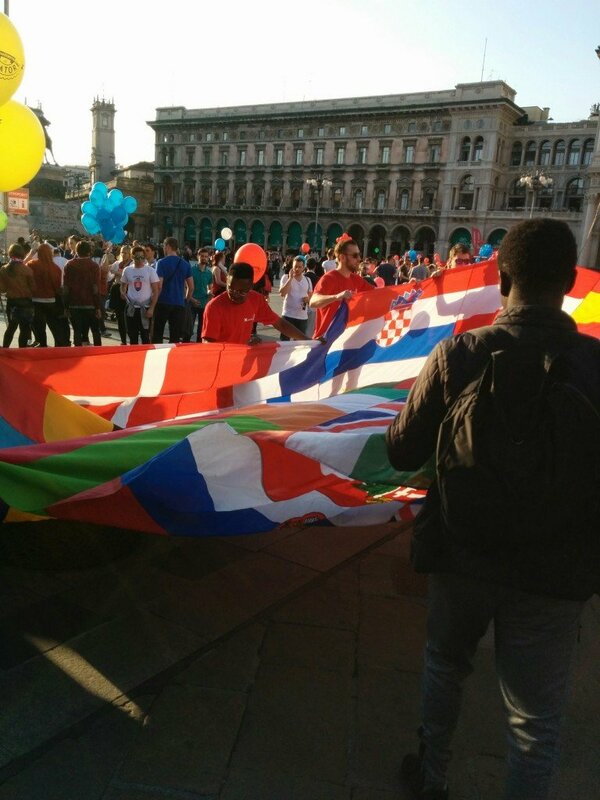 My fellow students and I are able to live and study here without spending much money at all, and Milan has the advantage, being the economic powerhouse of Italy, of providing students with money in the form of jobs, scholarships, and loans. 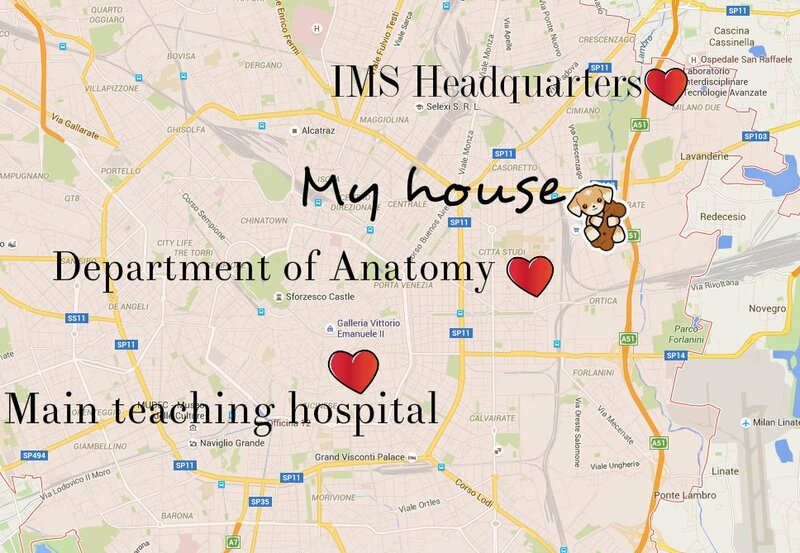 It is sad, in a way, that some people think IMS Milan is expensive, because much of the philosophy of the school revolves around offering a Western European-quality medical education to students from anywhere in the world and any background. If you can get into IMS Milan, you can almost certainly afford to study here. 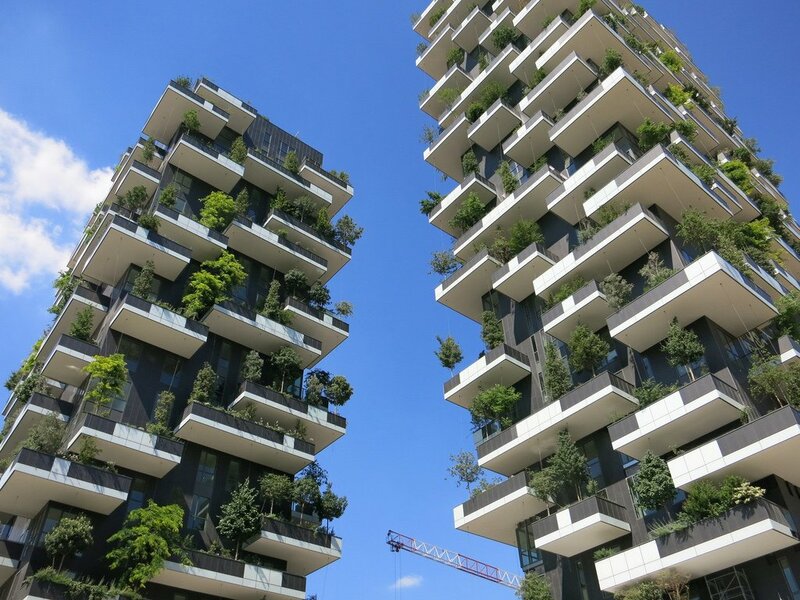 The thing to understand about Milan is although it is an alpha world city — famous for finance, fashion, and industry — it is, unlike other alpha cities like New York or London, extremely affordable, even on a student’s budget. IMS students, in particular, have an advantage in this regard, because the majority of places we study fall along the same green metro line, which takes you to some of the least expensive, and most interesting, neighborhoods in the city. I get pretty much everywhere in Milan by bicycle, which is free. It is 11 minutes from my house to the IMS headquarters, 9 minutes to the Department of Anatomy, and 23 minutes to the main teaching hospital and university campus. All three of these locations are served by the same green subway line, which actually ultimately terminates a half-hour later south of the city at Abbiategrasso, from which you can get a shuttle bus to Humanitas University in the town of Rozzano. The only times I do not take a bike around Milan is when the weather is very foul, or if I need to carry something unwieldy. If I want to go out at night, I have my choice of a dozen different exciting neighborhoods, all within biking distance. Transportation in Milan is, therefore, almost free for me, and I have no reason ever to have to pay train tickets to leave Milan, because whatever it is I would want to do, the city already offers it. World-class museums, the planet’s perhaps most famous opera house, La Scala, parks and hiking trails to the Alpine foothills, and so forth and so on — they are all accessible from central Milan. I can even get to one of the city’s two airports — Linate — in about a 20 minute bike ride. What about housing? Well, first of all, you can live in a student dormitory. There is one not far from the Department of Anatomy, where rooms go for the low 200 euros per month. If you want to share a flat, things are not much more expensive. If you look at the map, above my house are the neighborhoods of Casoretto and Cimiano. Many IMS students live there, and they are fascinating, international communities, loaded with people from all different countries. The area reminds of me of Sunnyside, Queens, New York, the immigrant district where my father grew up, the kind of place where every storefront represents a different nationality: Polish, Turkish, Romanian, Chinese, West African. 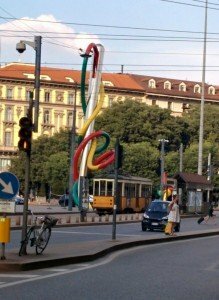 This part of Milan is an example of European diversity at its finest. The neighborhood is home to Emergency, Italy’s version of Doctors Without Borders, an NGO which does emergency medical relief work in Italy and in war zones around the world, and where IMS students can volunteer. These areas of the city are very inexpensive; shared rooms can be as low as 200 euros, whereas your own room typically will be about 300 and up. I, myself, am not on such a budget, and can pay more, so I have my own apartment — a two-bedroom, fully furnished (my landlord even left a chocolate on my pillow) — for 850 euros, everything included. With air conditioning, a guest room, and a big kitchen, I have had people staying with me all summer, and also have been hosting parties. If you want to live luxuriously, sharing a flat at IMS Milan, you can do it for about 425 euros a month. How about food? 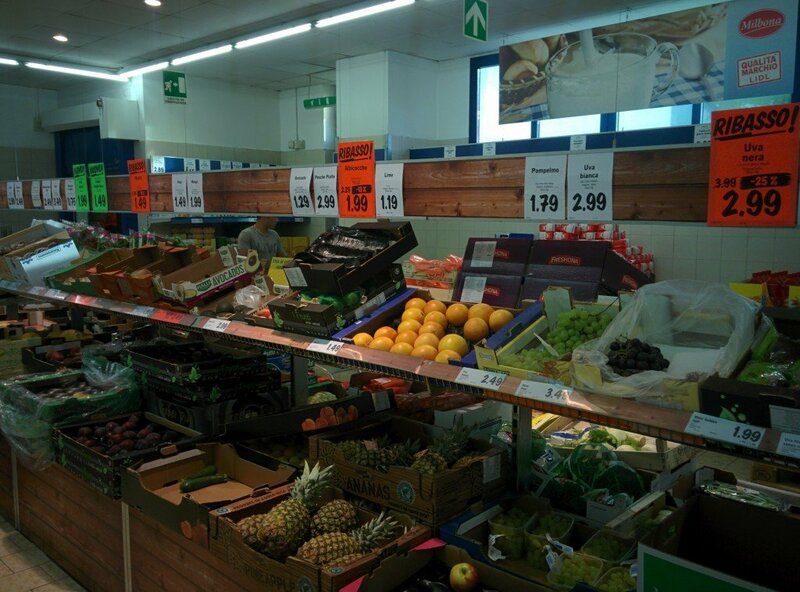 You can eat very well on 40 euros a week. 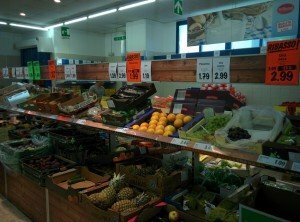 Meals in the IMS Mensa are between 3.50 and 5.50 euros. 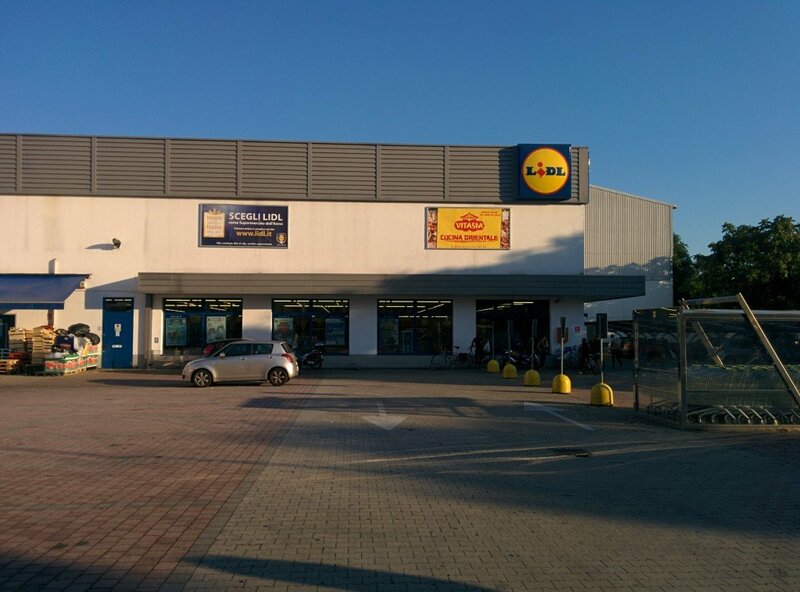 The city is full of the typical discount supermarket chains that are all over Europe — like Lidl, which I personally love — and I stock up a weeks’ food for about 25 euros or so. The store is a 5 minute walk from my house. 8 minutes in the other direction is a giant supermarket, Esselunga. (The name means “long S”, because the symbol of the store is a long S, standing for “Supermarket”.) 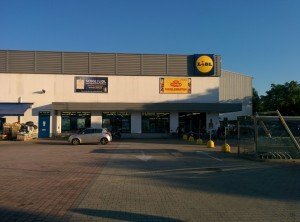 Esselunga is kind of like the Walmart of Italy; it is super-cheap and basically has everything you possibly might need to live. Entertainment? Restaurants? 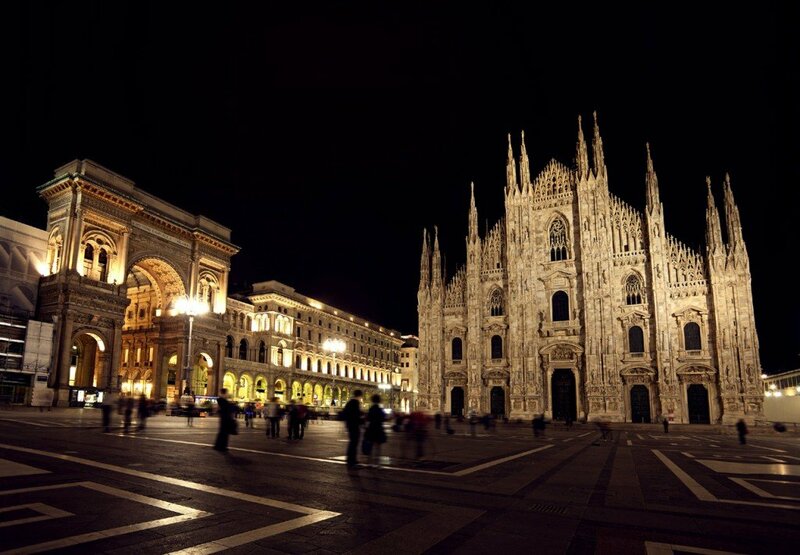 Well, because Milan is so lively, you can go out, enjoy yourself, and not spend a single eurocent. 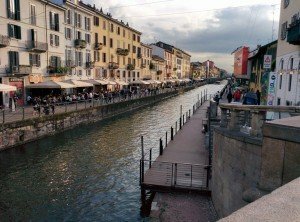 For example, if you feel like meeting other people, you can just head over to the district of Porta Ticinese, which, almost every night, is brimming with students and young professionals just sitting around and talking, sometimes playing music and dancing. It is Italian street life at its finest. What I and some other IMS students commonly do is cook dinner at home (= 3 euros per person for a huge meal), perhaps have a few drinks (or nice non-alcoholic beverages), and then head out to a lively district like Porta Ticinese, Porta Venezia, Brera, Duomo, or one of about 10 other choices, and just hang around and meet people. It is easy to strike up a conversation with just about anybody, particularly because we are non-Italians, and locals and other internationals alike enjoy getting to know people from all over the world. If you do want to go to a restaurant, you can get find some fabulous meals for 10 euros and under — including pizza that rivals what you find in Naples. Why? Because lots and lots of southern Italians have emigrated to Milan for the job opportunities, and they have brought their magnificent cuisine with them. 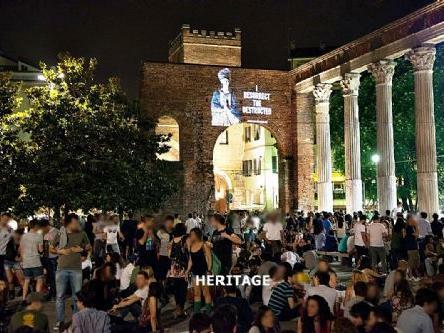 This brings me to Milan’s next advantage: its economic vibrancy. It is the wealthiest large Italian city, with, by far, the most startup companies, as well as the headquarters of many of the country’s major businesses, like Dolce and Gabbana and Versaci, Google and The Walt Disney Company Italy, and almost every major Italian bank. 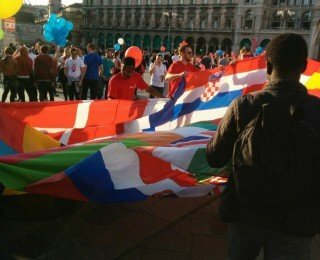 If you want to work and make money during your study in Italy, no city comes close to Milan in chances for employment. I have already gotten full-time job offers in Milan, although, of course, I turned them down so I could study. But whatever your talent — tutoring, programming, scientific research — if you look long enough, you will find someone in Milan who needs your help, and may very well pay you for it. 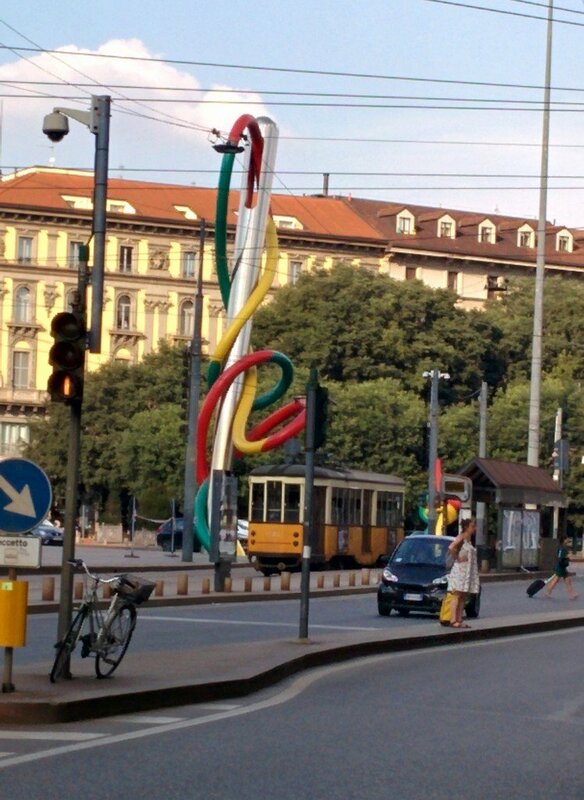 There is, in the city center at Cadorna, a colorful abstract statue of a needle and thread. It is meant to symbolize the work ethic of the city, particularly in clothing and textiles, one of its major industries. It is said of the Milanese that their “hands are always busy” — meaning that they are famous for their productivity, and when you live here, you naturally imbibe Milan’s spirit of diligence and creativity. Finally, because it is a wealthy city, the University of Milan has economic resources available for students from poorer backgrounds. Tuition is scaled to your family’s financial situation, and most students that I know, who applied for a tuition discount, got one on the order of thousands of dollars. So when you see that the tuition at IMS Milan is between 693 and 3938 euros, chances are, if you do not come from a very wealthy background, that you will be paying somewhere closer to 1000-2500, rather than the full tuition. Furthermore, the University of Milan offers scholarships to students with particularly good grades, and has an agreement with Banca Intesa San Paolo to provide student loans of up to 5000 euros per year. I literally know of no student here in Milan who has struggled financially so much that he or she had to pause his or her studies. Let me repeat that: I literally know of no student here in Milan who has struggled financially so much that he or she had to pause his or her studies. This means that if you can get into IMS Milan, you can very, very probably afford to get your MD here. And when you graduate, you will almost certainly have excellent job — and economic — opportunities, since Milan is known as a medical research powerhouse throughout Europe and beyond. In the meantime, you can live well, in an exciting, cosmopolitan, open-minded, and forward-thinking city.